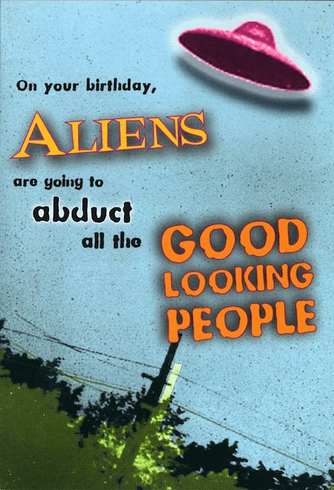 Outside: On your birthday, aliens are going to abduct all the good looking people. Inside: You've got nothing to worry about. Happy Birthday!